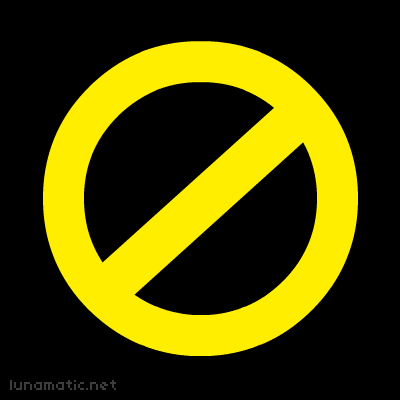 The black out of Wikipedia, Craigslist, Boing Boing, Cyanide and Happiness, Tumblr, Reddit and more last week helped to thwart the Stop Online Piracy Act proposed in the United States Congress. But now we have our own version of SOPA rearing its ugly head! This law may block sites like YouTube, Twitter and Facebook. Sites will be taken down with no warning, no mediation and no appeals outside the High Court. Irish jobs in the tech industry are at stake, as well as our international reputation! I’m a disorganised cook. 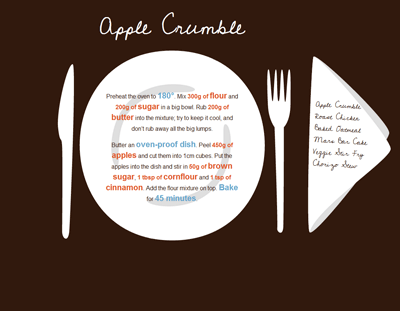 All of my favourite recipes ended up on little stained, battered scraps of paper, so I finally organised them all into concise blobs of text, and put them on a webpage. Ingredients are in orange, important actions and equipment are in blue. Once upon a time there was a little girl who was very good and very patient. 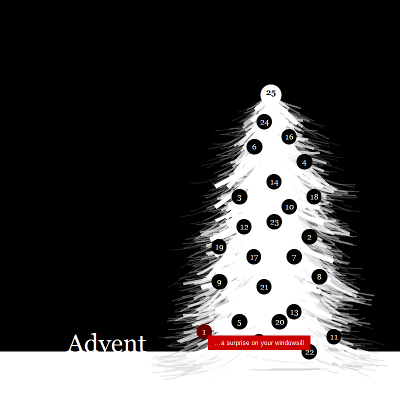 One year, at the beginning of December, she got an advent calendar to count down the days to Christmas. Each day she would wake up with delight, and open the next little cardboard door, and seize the little chocolatey prize within. Then one day a terrible injustice happened. The family dog, a loveable creature, but greedy to the bone, climbed all the way up the stairs on her short little legs, barged into the little girls’ room, and snuffled out the last few remaining chocolates in the advent calendar! When the little girl discovered the looting, she was heartbroken. Today the little girl is fully grown, but I still try to get her an advent calendar every year to make up for the time she was so very good, but her patience was punished. 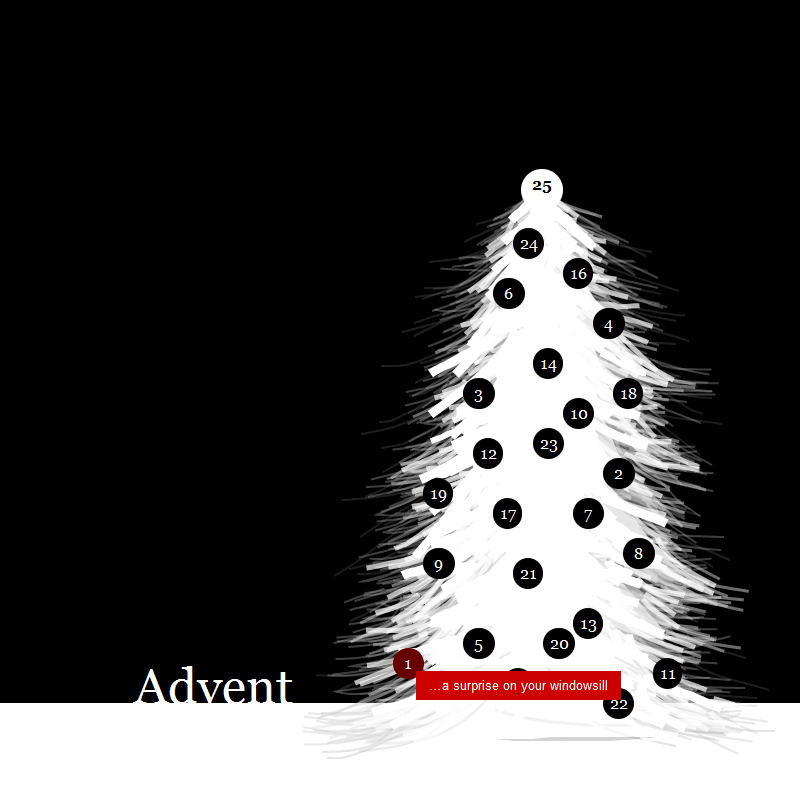 This year I’ve made her a digital advent calendar. Each day there is a clue to the location of a little surprise. Follow along with us! 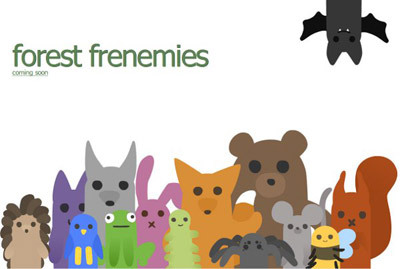 By the way, any suggestions for really good hiding places or clues are welcome in the comments! 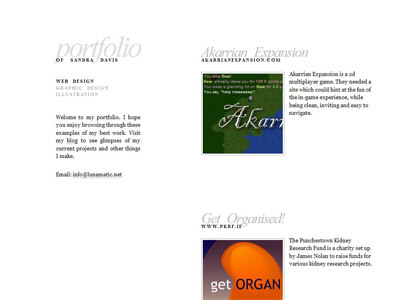 Just completed the next phase of akarra.com. Upgraded the layout, and added quite a bit of new content. The admin commands section in particular should be useful to people. Quite proud of how the pixelly castle on the menu turned out. 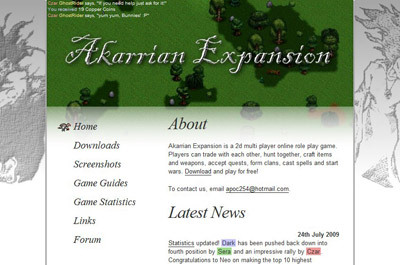 This site is for a 2d mmorpg, called Akarrian Expansion. 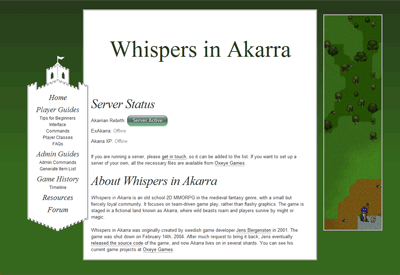 Akarra has charming pixel art, quite complex game mechanics, and a nice community. I tried to capture the spirit of the game by using screenshots of some of the different landscapes and creatures in the header, and snippets of player chat. 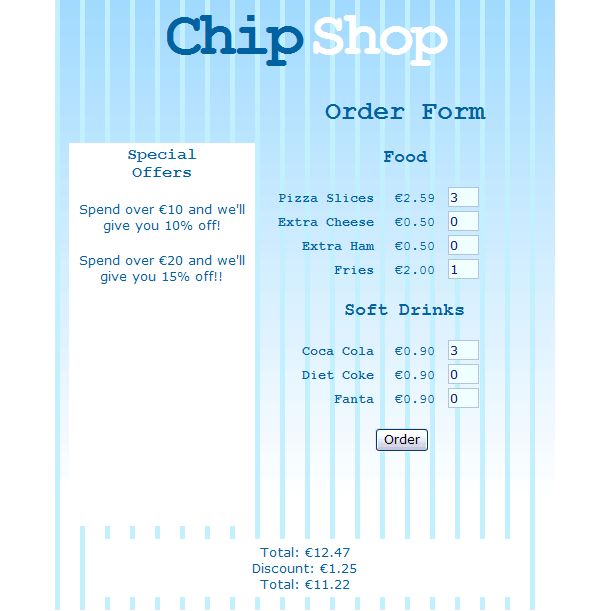 I think it’s probably the most appealing website I’ve ever made. 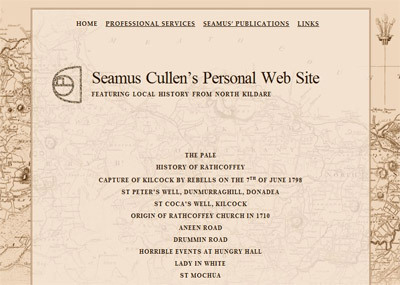 The design and the content are very intertwined and support each other. Also it was really fun to do! Update: Akarrian Expansion has come to an end. Visit akarra.com for more information. 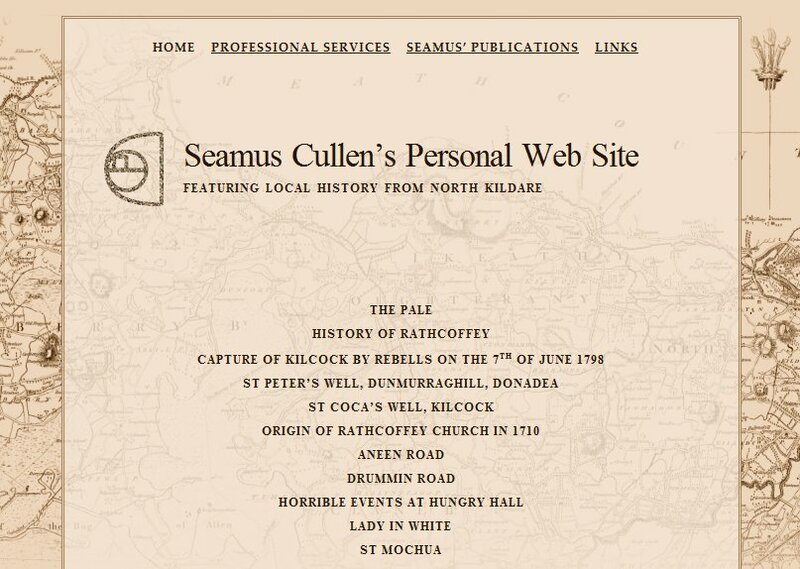 This site is for a local historian, Seamus Cullen. He writes articles and books, meticulously researched, and often accompanied by maps, so for his site, we decided to use a map of the region as one of the main design elements.